LEXINGTON, Ky. (Oct. 24, 2017) — Devastating destruction, loss of life and crippled infrastructure. Outside of the disaster zones, millions watched on TV screens and Twitter feeds the desolation left by natural disasters in recent months. And some, like civil engineer Mariantonieta Gutierrez Soto, an assistant professor at the University of Kentucky, rushed to the hardest-hit areas. Traveling to the coast of Texas following Hurricane Harvey, Gutierrez Soto surveyed the damage and collected information that could help communities better withstand natural disasters in the future. "It was a really eye-opening experience, seeing how people's lives changed because of this, how cities change," she said. "Some structures were fine, while others were totaled." 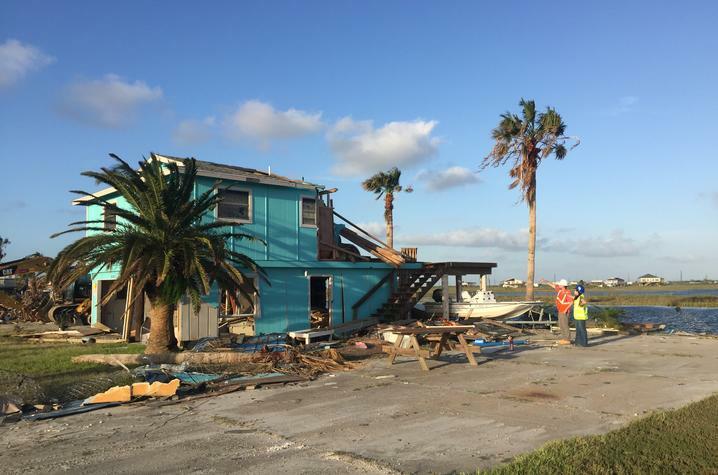 Gutierrez Soto and team members from other universities assessed the damage in Rockport and Holiday Beach, Texas, communities decimated by the hurricane. Investigating hundreds of residential buildings, the engineers looked for clues to explain why certain structures survived and others didn't. 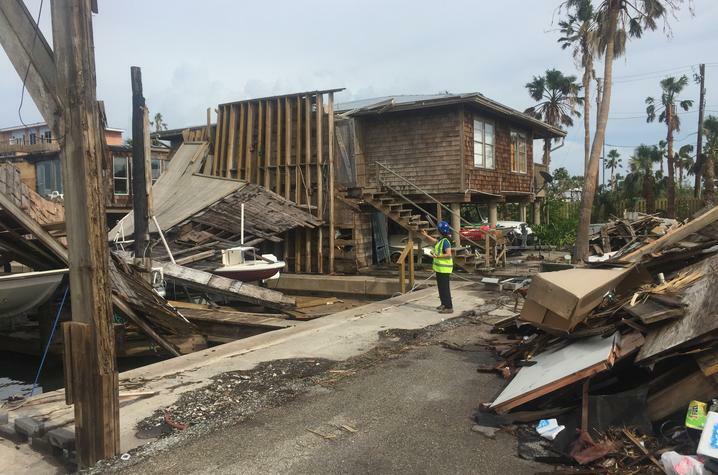 Rockport received some of the worst wind and storm surge damage from the Category 4 storm. 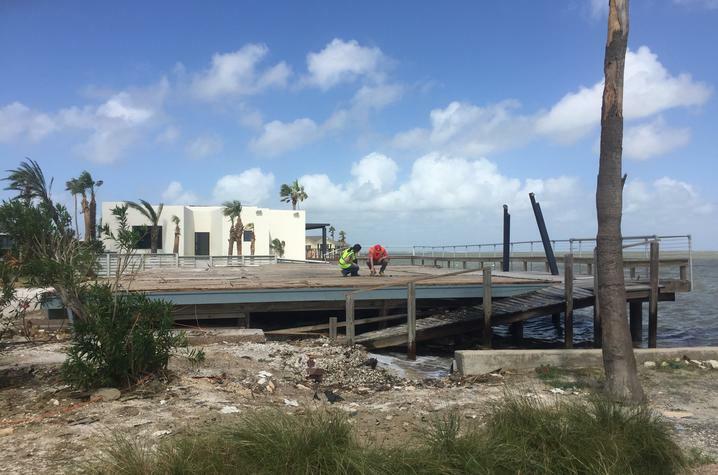 "Designing for wind and storm surge can have competing performance goals and is a complex challenge for civil engineers, especially in hurricane risk areas," Gutierrez Soto said. She heard from residents who rode out the storm in their home, proving how difficult it is to stay safe when faced with multiple hazards at once. Traveling back and forth between their first and second floors, one couple tried to avoid flooding by going upstairs. When the roof began to fly off, they went downstairs and tried to exit through the front door, but it wouldn't budge because of the strong winds and storm surge. "They returned to the second floor and thankfully were okay, but there were a lot of stories; some were fatal," she said. Gutierrez Soto's research in the UK College of Engineering focuses on "smart" structures, using technology and new methods to make structures adapt in real-time during a disaster. "Our job as civil engineers is to design structures to be protected, but first we have to understand the failures and the successes," she said. In Texas, Gutierrez Soto analyzed a lot of roof damage, much of it from older structures, but even some newer structures that were built to code suffered significant damage. Now, she and team members from the University of Maryland, Auburn University and James Cook University in Australia are compiling their data to provide recommendations for improving building codes and how structures are engineered, especially for multihazards. The team will continue to work together as part of a consortium for future damage assessments following natural disasters.